Teacore or chap-hop? 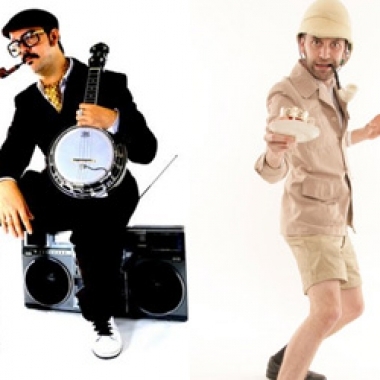 Mr. B, the Gentleman Rhymer or Professor Elemental? Yup, that’s right, it’s a genuine rap battle in the nerdcore world. I’ll pit them against each other in a battle royale of six different categories and then decide on a winner. So the scary break-in preview turned out to be a drunk Astor? Oh, what a let down. I feel like every episode we’re getting is a mixed bag of highs and boring lulls. I really am craving a fast-paced all-action episode soon! Contest: Win a BBC Prize Pack with Doctor Who, Being Human, and More! We're no strangers to running contests around here, but this time we're upping the stakes by giving away not one full TV season, not two, but three! This is your chance to win a prize pack from BBC.